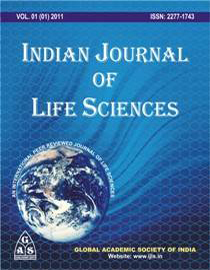 Indian Journal of Life Sciences(IJLS) does not collect any unique information about the User (such as User’s name, email address, age, gender etc.) except when the User specifically and knowingly provides such information on the Website. Like any business interested in offering the highest quality of service to clients, Indian Journal of Life Sciences(IJLS) may, from time to time, send email and other communication to the User tell them about the various services, features, functionality and content offered by Indian Journal of Life Sciences(IJLS) website or seek voluntary information from you. iv. To investigate, prevent, or take action regarding illegal activities, suspected fraud, situations involving potential threats to the security, integrity of Indian Journal of Life Sciences(IJLS) website/offerings.